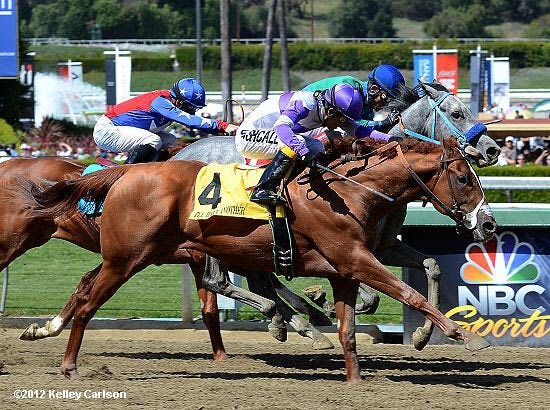 Winner of the 2012 Kentucky Derby, I’ll Have Another. Fitting name for Cinco de Derby? I think so. I love any excuse to celebrate. So as you can imagine, I was extremely excited that this year Cinco de Mayo and the Kentucky Derby fell on the same day. Since we’re from Kentucky, it was a given that we were going to watch the race (sans mint julep drinking, ick!) Drew’s never been, but I fondly remember going to Keeneland several years while growing up, eating burgoo and picking horses based on their funny names. In preparation for a fun day, Drew and I made a list of events going on around town for our house church group to take part in. While there were quite a few options, we ultimately decided to have a “Cinco de Derby” get-together at Shawn and Shannon’s house that evening. The plan was to DVR the Derby coverage so we could watch it in full from the beginning and have a Cinco de Mayo-themed potluck. Mexican food and horse racing, unite. Saturday afternoon we went grocery shopping for ingredients to make our contribution to that night’s potluck: cheese enchilada soup. We’d come across the recipe in one our cookbooks several weeks ago when searching for a good crockpot meal. It’s not the prettiest-looking dish, but then again, what soup is? It turned out absolutely delicious the first time we made it (we went back for seconds, and definitely were tempted for thirds) so we knew it’d be a hit with our friends. After putting the soup in the crockpot to cook, we headed over to Park Tavern for $1 margaritas. Yes, you read that right. Apparently everyone else in Midtown had the same idea; the place was completely packed. The cheap prices more than made up for the crowd though and we enjoyed several drinks before heading back home. 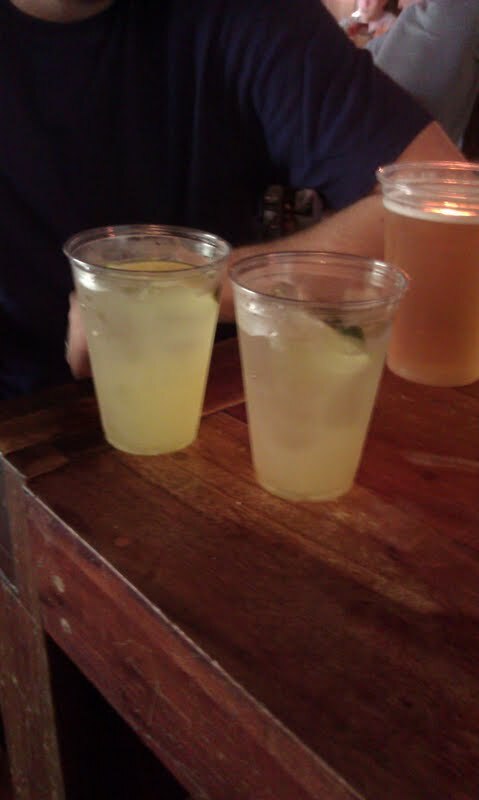 Our $1 margaritas at Park Tavern. Ole! Walking into the apartment to the smell of the soup, we wanted to dig in with spoons right there on the spot. Being the thoughtful friends that we are, we shared it with the rest of the group J As it turns out, Mexican food makes for great derby-watching fare, who knew? We had homemade salsa, guacamole, the enchilada soup, made-from-scratch margaritas, Corona and an amazing sopapilla cheesecake. Very festive, indeed. We had a great time watching the Derby, I’m always amazed at how they’re able to stretch out coverage hours before the actual two-minute race. Truth be told, we actually watching the race beforehand but pretended we hadn’t seen it. Drew “amazingly” picked the right horse to win, what a good guesser he is 😉 We had everyone fooled for about 2 minutes until the truth finally came out. Turns out, several others had heard the results too but wanted to play coy so as not to ruin it for everyone. Seeing everyone dressed in their Derby best, and hearing My Old Kentucky home really brought me back to life in Kentucky. Speaking of, I’ll be visiting Mom and Dad over the long Memorial Day weekend. It’ll be my first time back in Fort Mitchell since Christmas. Needless to say, the trip is much overdue! 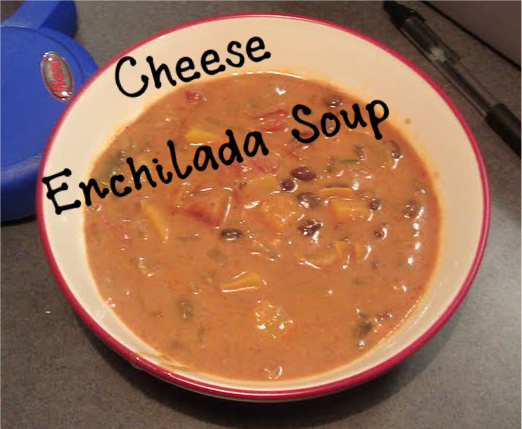 In a large bowl, stir together cream of chicken soup, enchilada sauce and milk. Dice onion, pepper and jalapeno (if using) and add into crockpot. Add in beans and tomatoes, then pour in the soup mixture. Add in about half the cheese. Stir to combine and cook on low for 6 hours or high for 3 hours. Halfway through, add in the remainder of the cheese. Serve with tortilla chips as a dip, or eat it like soup! ← A Visit to Kentucky for Evan and Danielle’s Wedding! Sounds like a fun afternoon/evening! Jim and I didn’t even watch the derby!! Sad, for us two who live in Kentucky. We had gone to the movies and had forgotten about it being Derby day…..hearing about the dollar drinks makes me think of a time we went to quarter night to the Louisville Cardinals play with friends from church….something we laugh about to this day about how all Jim did during the game was stand in line for hot dogs and coke! We ended up leaving and meeting Nanny and Granddaddy somewhere for late dinner..